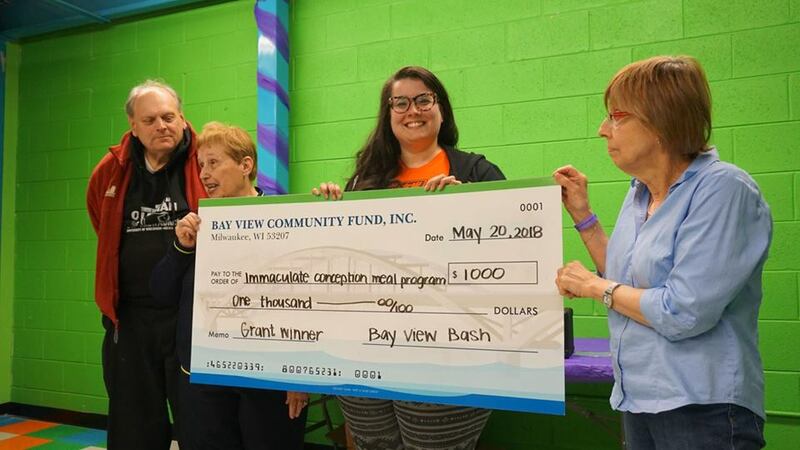 Each year, all profits raised at the Bay View Bash are given back to the community through grants to local nonprofit 501(c)3 organizations. 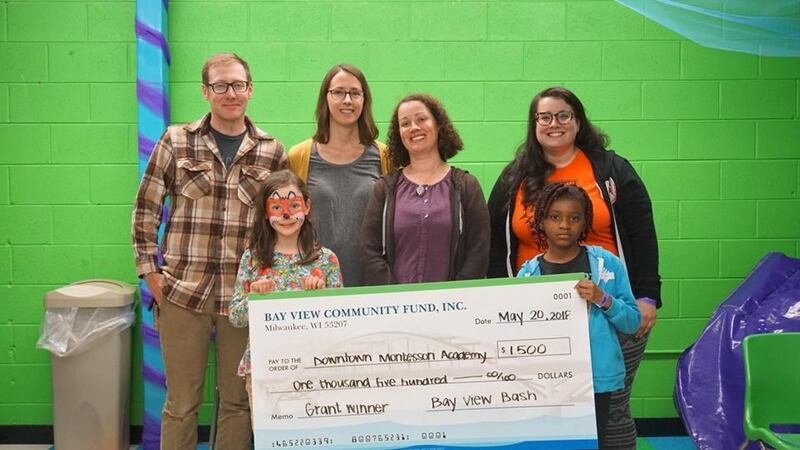 Following an open process, grant applications are reviewed and selected by Bay View Community Fund officers and planning team members. Conflict of interest rules are enforced - anyone with an official connection to an applicant for Bash grant funds will be excluded from selecting the recipients of the funds. The RFP process for 2017 grants has CLOSED. To be considered for 2018 grant funding, please check back in Spring 2019 for an updated, posted application. Downtown Montessori Academy is a small, diverse, community-focused Montessori elementary school that has been serving families since 1976. As a City of Milwaukee charter school, students who reach age 4 by September 1 can attend the school with tuition provided by public funds. The school strives to provide an environment that supports meaningful work in a community of learners that builds trust and allows children to create a vision for their future. ELPW provides tutoring and language classes for those seeking to improve their English. Through small group English classes, Americans and immigrants develop relationships of mutual respect that result in immigrants' integration in the U. S. society and a warm welcome into communities of support. Services seek to improve the financial health of families, which in turn makes the family unit more stable. 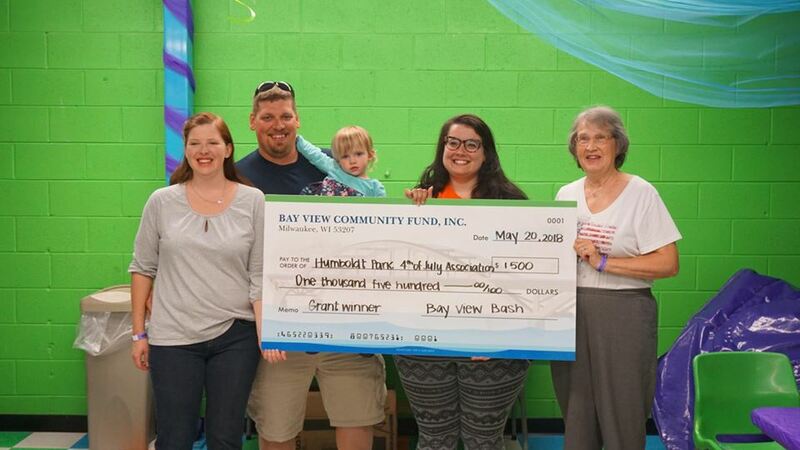 This group of community volunteers plans and hosts the annual 4th of July festivities in Humboldt Park in Bay View. The association provides a family-friendly and free events all day long in this largest and oldest Independence Day celebration in the City of Milwaukee. 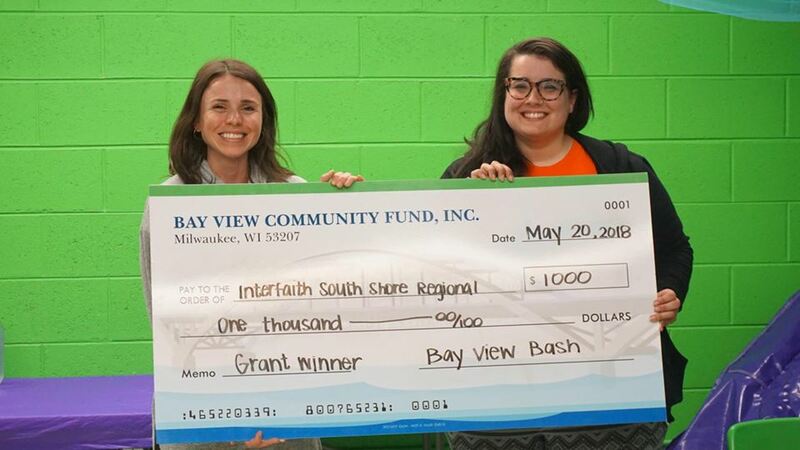 Interfaith South Shore Regional (SSR) provides valuable one-on-one services to older adults (age 60+) living in Bay View, St. Francis, Cudahy, South Milwaukee, and Oak Creek to ensure their safety, independence, and a connection to our community. Interfaith SSR provides transportation to medical appointments or other important errands; grocery shopping assistance; friendly in-home visits; minor home repairs, outdoor chores, and more. All services are provided free of charge. The mission of Kompost Kids is to educate the public, individuals, businesses, and institutions about the benefits of compost and to reclaim organic materials from landfills to create soil for community-based agriculture projects. KK envisions a world in which every person disposes of food residuals and compostable materials in an environmentally sustainable way, and the landfill is never an option. Kompost Kids in an integral partner that assists in making the Bay View Bash a near-zero-waste festival. Milwaukee Makerspace, at its heart, is a place for people who like to build, invent, tinker and/or learn new skills and expand their minds. The Makers Market has a wide range of skill sets in its membership including, but not limited to, masonry, pottery, forging, casting and welding. The grant supports the physical space where members can come 24/7 to have access to a wide array of equipment supporting the creative process and personal growth. Robert J. Haertle grew up in Milwaukee. In 1957, he married life-long Bay View resident Dolores Werner at St. Augustine of Hippo Catholic Church. They resided in Bay View until 1996 and together raised four children. Robert's passion for knowledge and reading was evident throughout his lifetime; he was often seen with a book in hand, using an eye loupe (a special reading lens) to aid his impaired vision. His memorial scholarship is awarded to college students through the South Side Scholarship Foundation. Small, no-kill cat shelter located on the outskirts of Bay View serving the Greater Milwaukee area. SHP is dedicated to the betterment of misplaced felines by providing pet owners and concerned citizens with alternatives beyond abandonment and euthanasia and providing housing and care for cats and kittens. Program out of the Immaculate Conception Church providing hot meals and bagged lunches free to the community and those in need in Bay View. A meal is served every last Saturday of the month prepared and served by volunteers. Working to balance the scales of inequity in today’s current power structure, inspire the next generation of women leaders, and change the trajectory of inequality that our State and Country is on. The Huddle serves as a collective voice of women that is currently missing amongst our policy makers, inspired by the Women’s March.